In the automotive world, just like in real life, even the most beloved vehicles eventually need updates or facelifts; between full-scale redesigns, it’s customary for vehicles to undergo midcycle refreshes, small but noticeable tweaks to a vehicle’s appearance and performance that keep a company’s vision for their product moving forward without completely redesigning a platform. The Sonata, Hyundai’s flagship midsize sedan, will celebrate its 30th year in the North American market in 2018, and if the first images of the Sonata’s refreshed look are any indication, it’s poised to do so in style. 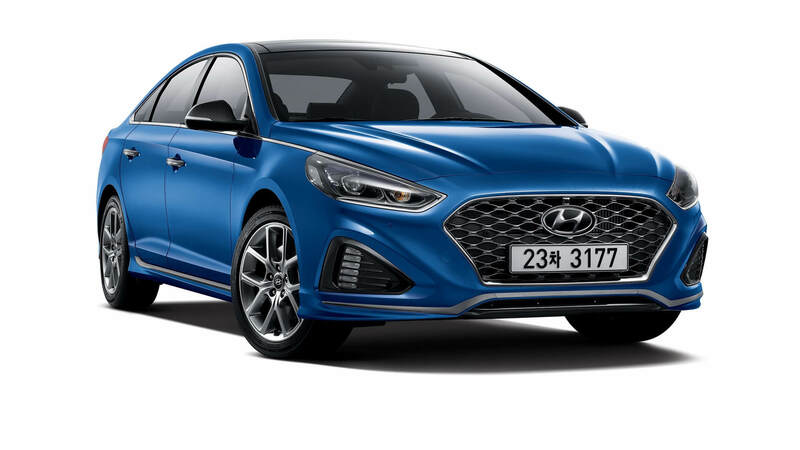 Chief among the changes to the refreshed Sonata, which debuted in Korea earlier this month, is the introduction of Hyundai’s new “Cascading” grille, which will reportedly become a mainstay of the Hyundai design language like the Tiger Nose grille is for Kia. The Sonata’s new snout is designed to look like the grille is framed by a cascade of metal, which gives the Sonata a modern, smooth style. Also new to the Sonata for 2018 is an 8-speed automatic transmission, which should provide increased fuel-efficiency and a more engaging driving experience. Other additions include Android Auto and Apple CarPlay, some new optional advanced safety technology, and an improved touchscreen in the center console. We’re excited to see one of our favorite cars with a new do, and we should have a better idea of what to expect from the updated Sonata when it makes its first North American appearance next month at the New York Auto Show. Stay posted for more news on the stylish new Sonata! Previous Previous post: A Special Time for Vehicle Owners – The Butler Open House!